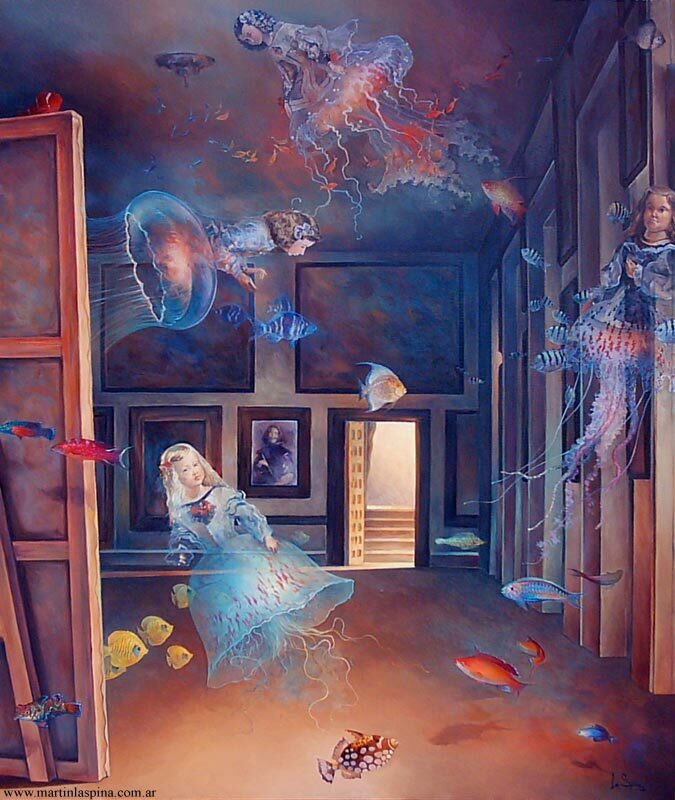 Martin La Spina "Meninas detras del espejo"
I love Martin La Spina's work, particularly these jellyfish girls. Such an ingenius idea, and so gracefully executed. thi´s picture is cool, I believe in the velazquez, but your art, the art new, wha you do it is art !